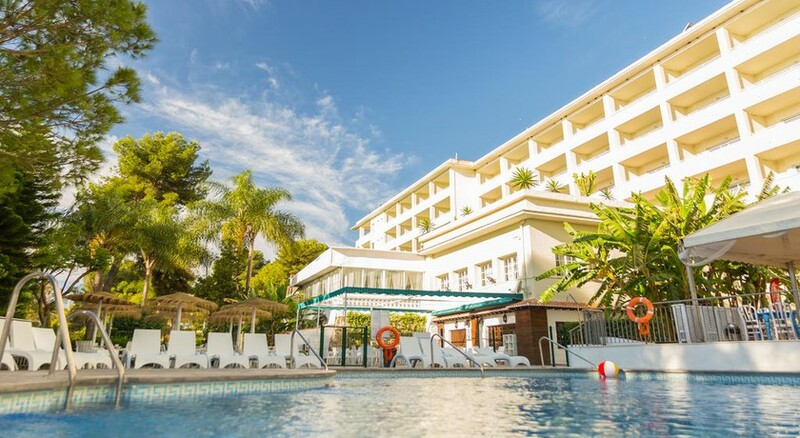 Holidaymakers looking for a break that embodies fun-in-the-sun should head to The Roc Costa Park Hotel in Playamar, Torremolinos. 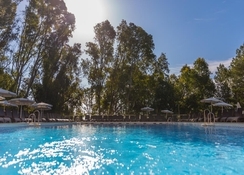 This popular holiday spot in the beautiful Costa del Sol offers so much to do, whether you want to get stuck into new watersports or just relax by the pool. The hotel is a classic holiday escape, perfect for families with a small kids waterpark, pools, kids clubs, kids menus and The 4-star hotel offers sparkling swimming pools, shuttle transfers to the beaches, entertainment for all ages, mini golf, an excellent restaurant, well-furnished rooms, and more. The hotel comes with all-inclusive packages. The children's water splash park has waterslides and a pirate's ship, while everyone can bask in the rays of the Spanish sun by the large pool, sun terrace and sun loungers. And if you're feeling energetic head to the tennis court, beach-volley court or mini-golf course. Roc Costa Park Hotel is set on the edge of Torremolinos, a beautiful Andalusian town that boasts a stunning coastline 7km long. Only 10 minutes' walk from the resort centre, you have an array of dining and shopping options. The Playamar Beach is also just 10 minute's away from the resort. And for your ease, there are free shuttles from the resort to the beach several times a day in summer months. Rooms at the Roc Costa Park Hotel are spacious and feature private bathrooms, air conditioning, satellite TV, bathroom toiletries, and more. The hotel rooms are designed to accommodate from a single person up to four guests. There are 296 rooms with four categories, each with distinct features. If you are looking for comfortable, versatile accommodation, the hotel’s suites are a perfect choice. 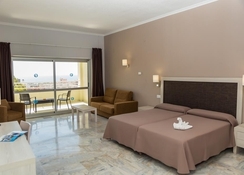 The facilities of the complex are plentiful, from a bar cafe with live music, bar, swimming pool (only summer) to the a la carte El Meson restaurant (only summer), buffet-style restaurant, live cooking stations and a banquet hall. Or, opt for an all-inclusive basis. There are two swimming pools for the grown-ups and one swimming pool for the little ones. The kid’s pool has pirate-themed water games that include a pirates’ boat with slides, play sharks and waterfalls. Other than that there is darts, bowls, mini golf, tennis, paddle tennis, rifle range, kid’s play area and a pool table. Additionally, for outdoor enthusiasts, there is horse riding, golf, speed boat racing and sailing available near the hotel. Friendly staff and best entertainment around .. love the food and hotel has everything you need. This hotel has everything anyone would need for a nice holiday in the sun, food was good drinks were easy to get. The entertainment team were out of this world they never stop and really enjoy what they are doing. I would go back here anytime. I VISITED THIS HOTEL IN MAY FOR 4 NIGHTS, FROM THE TIME WE ARRIVED TO WHEN WE LEFT THE SERVICE WAS AMAZING. I WAS MADE TO FEEL WELCOME AT ALL TIMES, EVEN WHEN WE HAD A PROBLEM WITH OUR ROOM THE STAFF WERE ALWAYS WILLING TO HELP. Had a wonderful stay at hotel roc costa park. Would recommend to anyone. This was our first holiday abroad in 5 years and our first as parents. We celebrated our little boys 3rd birthday here. Everything was fab from the room, food, entertainment and staff. Very good hotel.very clean and friendly staff.i recommend for everyone.